What Sleeps Behind the Door? Time passes, the pages turnâ€¦and a new chapter unfolds in an unfamiliar land! 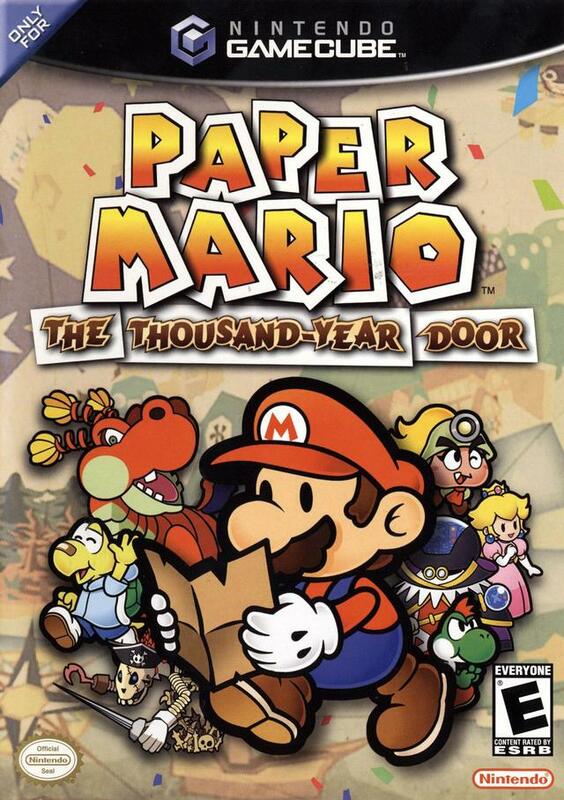 Get ready for a two-dimensional role-playing adventure for the ages as Mario returns to paper form to discover a mystery that sleeps behind an ancient, legendary portal called the Thousand-Year Door. The quest is long, the dangers many, and this time, Mario will have to make full use of his papery qualities just to survive. Take to the stage! Impressing the crowd builds power for super attacks, but donâ€™t disappoint the audience, or youâ€™ll pay! Donâ€™t fold under pressure! Fold into a paper airplane, turn sideways to slip through cracks, and much more. Stay on your toes! Stamp foes, swing your hammer, and use timely button presses to do damage!